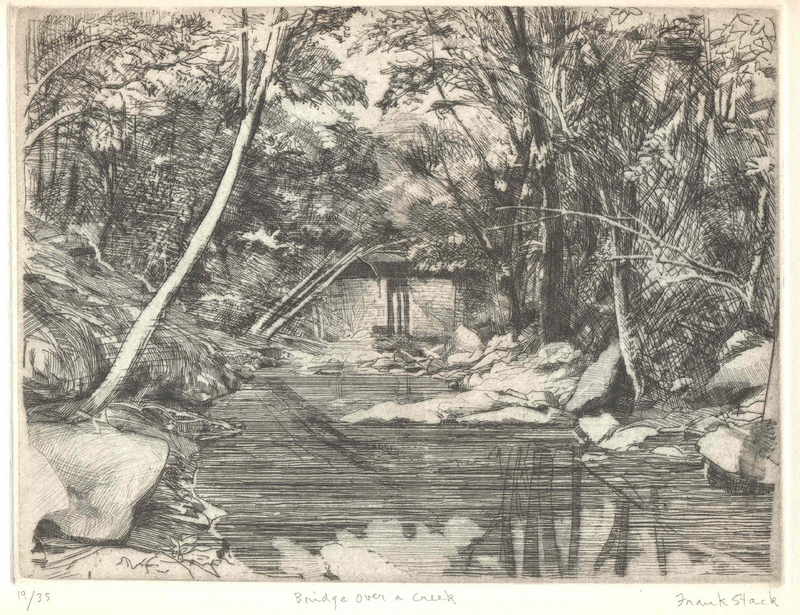 This original hand-printed and pencil signed etching is entitled "Bridge Over a Creek". The impressionistic quality of the image is achieved with hatched and cross hatched lines, stage bitten to produce variations in value. This is the 19th impression from a limited edition of 35. Image size: 7.5" x 10", Sheet size: 11" x 12.5".